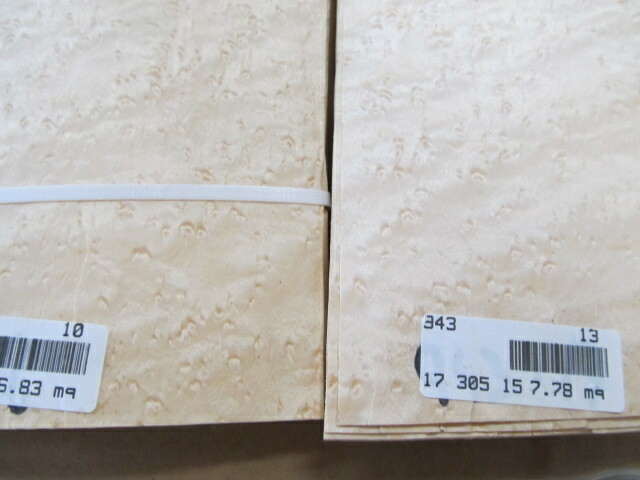 Birdseye Maple Veneer offers exciting patterns for designers, architects, and project managers. Common Names: The hard maple group is comprised of sugar maple (Acer saccharum) and black maple (Acer nigrum), rock maple, hard rock maple, Canadian Maple. Source: Eastern USA and Canada. 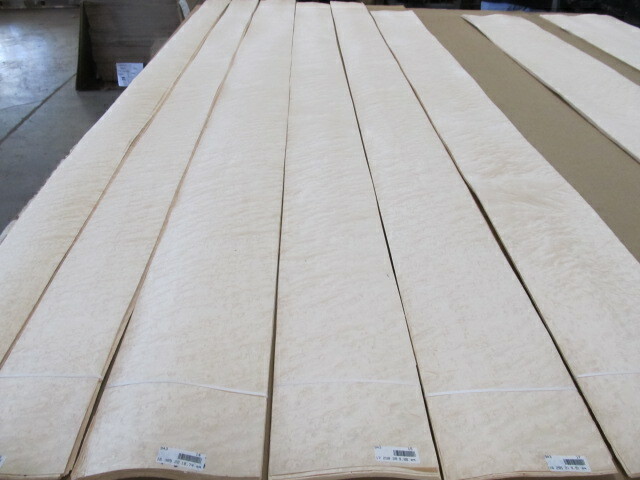 Color: Sapwood white to creamy-white; heartwood creamy-white to pinkish tinge to light reddish-brown. 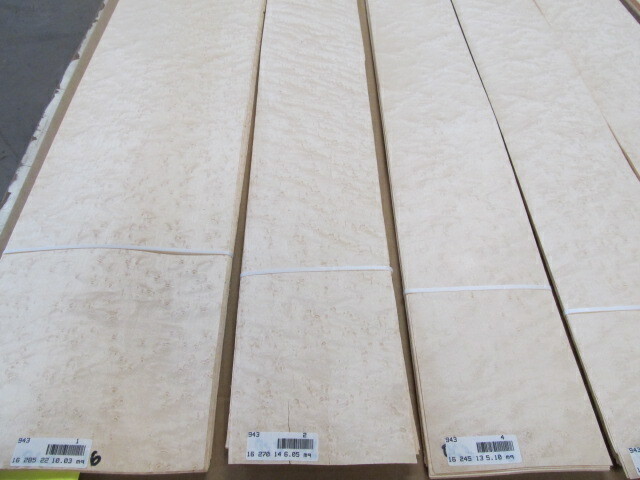 We offer natural, and bleached white Birds Eye Maple Veneer. 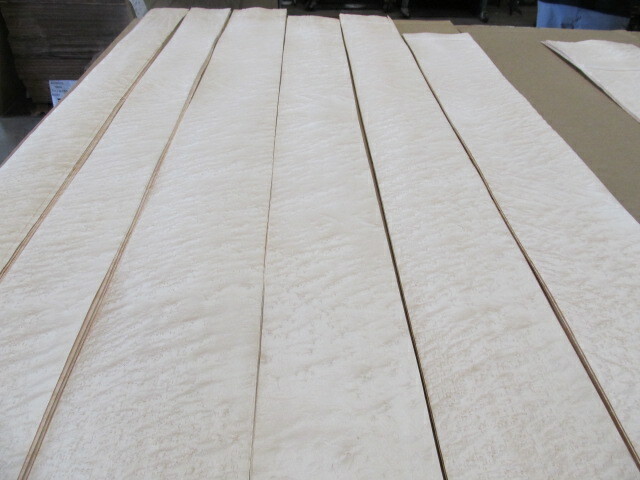 All veneers — natural or dyed — are subject to color change. We recommend using ultraviolet light inhibitors in all finishes on all wood veneers to slow fading or color changes. 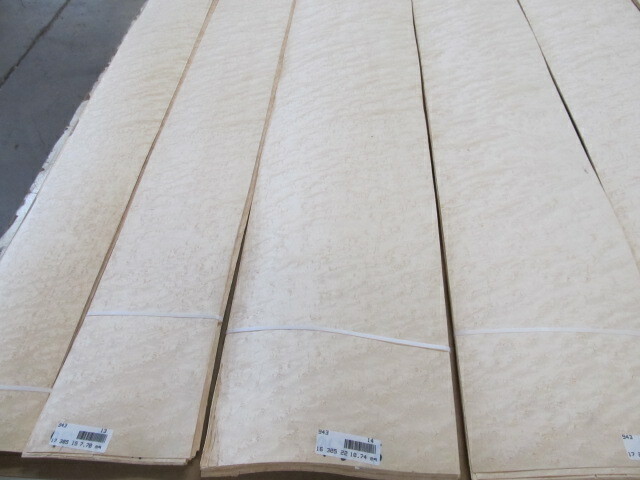 The dyed white Birdseye Maple Veneer is bleached first, and then in a later process it is dyed white. 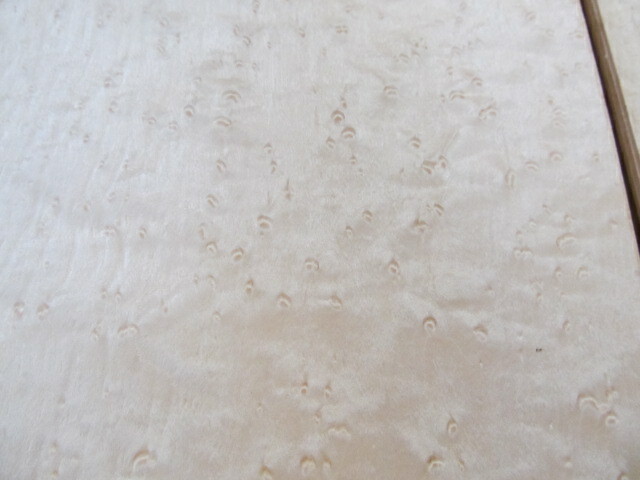 Pattern: There can be heavy to light patterns of eyes, sometimes with wavy, curly and other figures accompanying it. 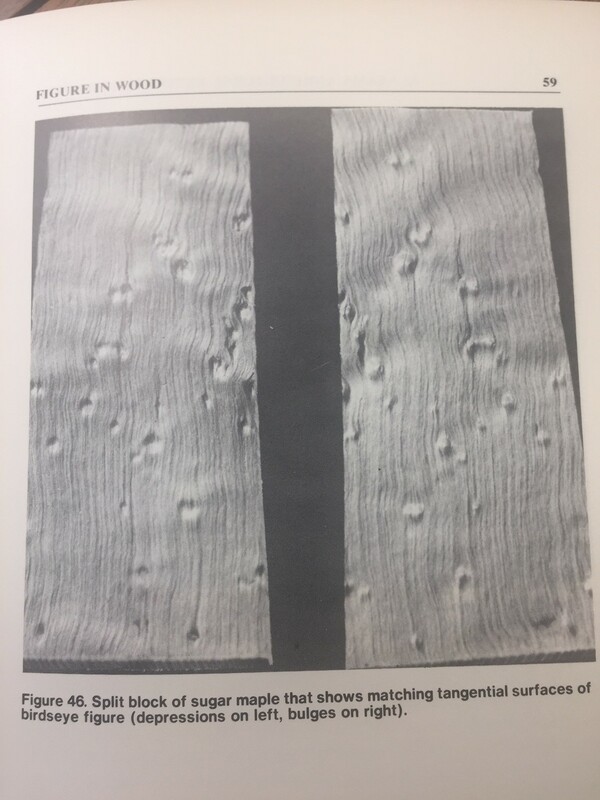 Researchers advise that indentations create conical depressions commonly, but is well developed only in localized areas of the stem. 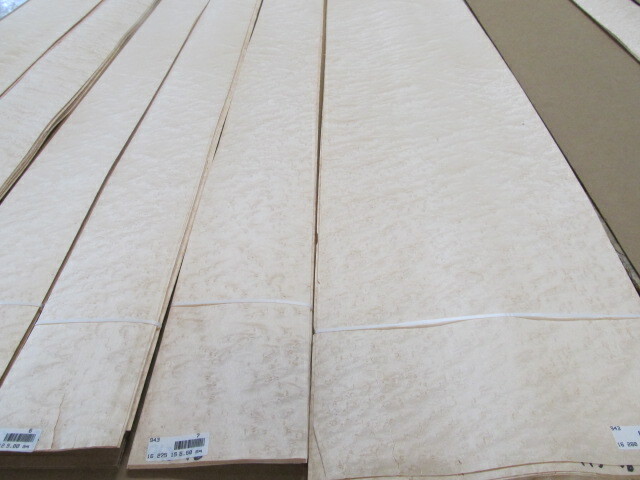 These indentations seldom exceed one-sixteenth inch in depth, usually occur in a random pattern, and may vary considerably in size and distribution along the sheet of veneer. 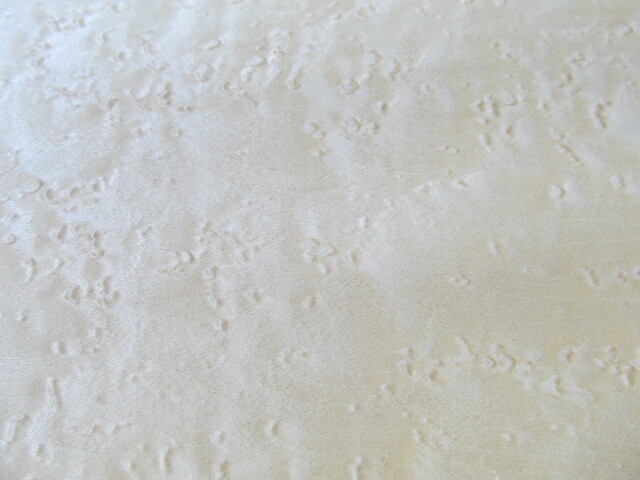 Birdseye frequently occurs in combination with wavy or curly grain, which enhances the appearance. 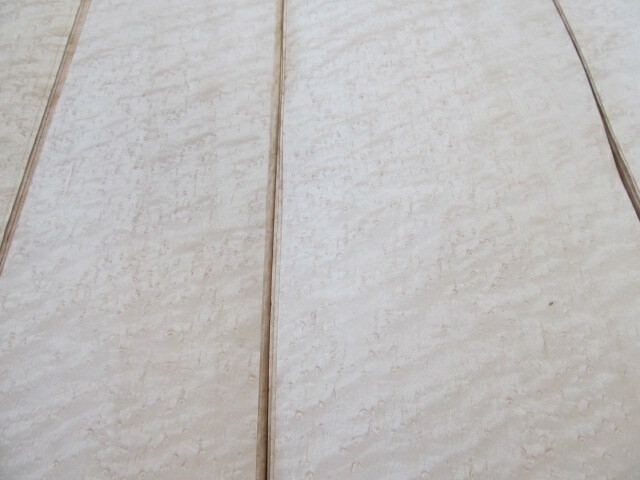 Birdseye figure of sugar maple in a veneer section that illustrates typical figure pattern. 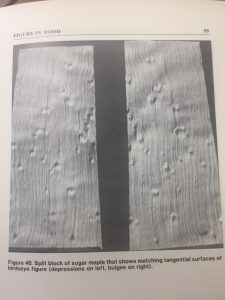 Split block of sugar maple that shows matching tangential surfaces of birdseye figure (depressions on left, bulges on right). Characteristics: Heavy, hard, tough. It is typically rotary cut to produce the best yield of figure. In appearance, hard maple resembles the closely allied English sycamore (A. pseudoplatanus) but is appreciably harder and heavier. 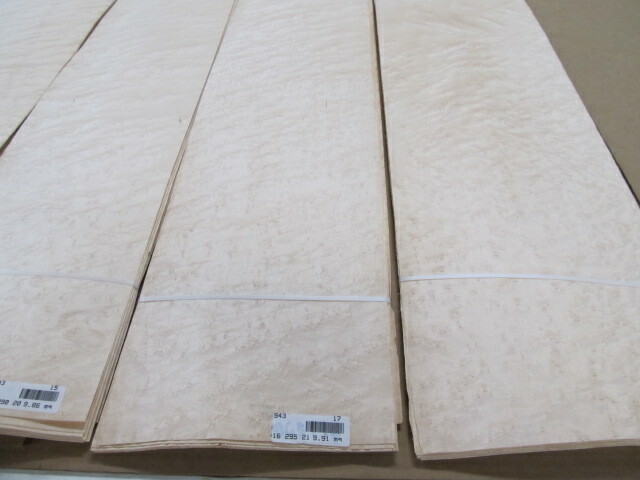 The wood has a fine, even texture and natural lustre. 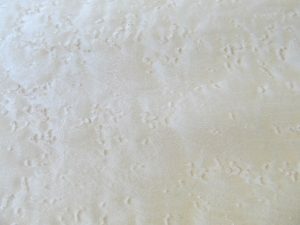 Grade / Notes: Dyed White. 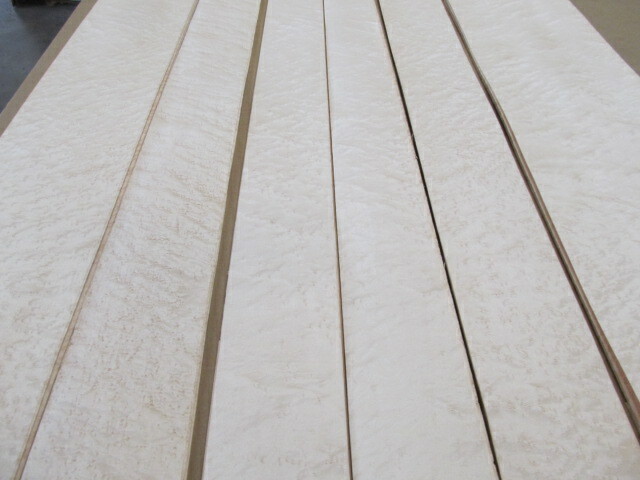 All veneers — natural or dyed — are subject to color change. 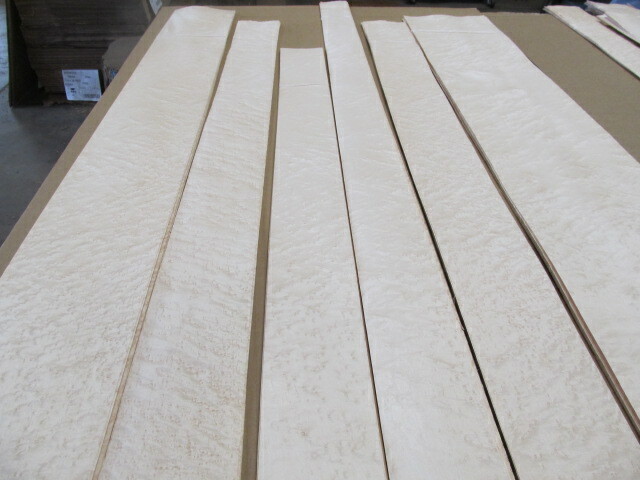 We recommend using ultraviolet light inhibitors in all finishes on all wood veneers to slow fading or color changes. 10 rotary cut bundles. Lengths 2 bundles @ 96", 1 bundle @ 120"; balance 106-116". Widths 1 at 12.9"; balance at 4.7 to 9.4 inches. Packaging and Shipping Costs to be advised once order quantities are established.